This is a completely customized ski wedding cake topper with ski trail sign ordered by one of our customers. 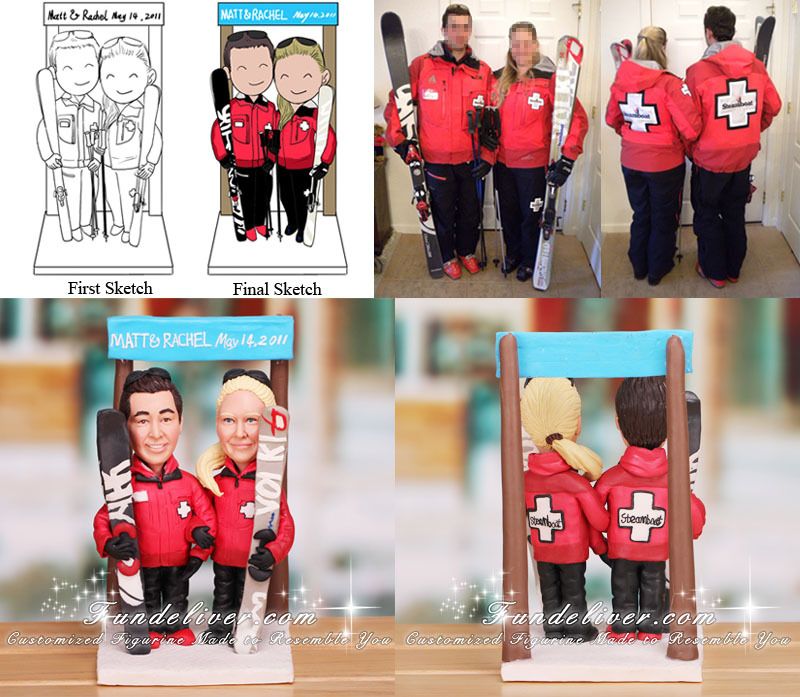 They would bride and groom figurine to be wearing the same red ski jacket, ski boots and holding their ski boards and ski poles as above image. A blue trail sign is placed behind them, saying “Matt & Rachel May 14, 2011”. Do you have a skiing themed wedding or a ski chalet as your destination wedding? If yes, this personalized ski cake topper will be your prefect choice. 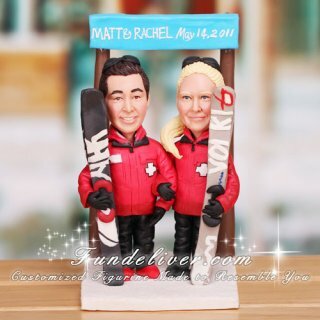 Complete with ski poles, ski boards and ski gears customized sculpted from your photos, this ski wedding cake topper will make your personality and interest stand out.